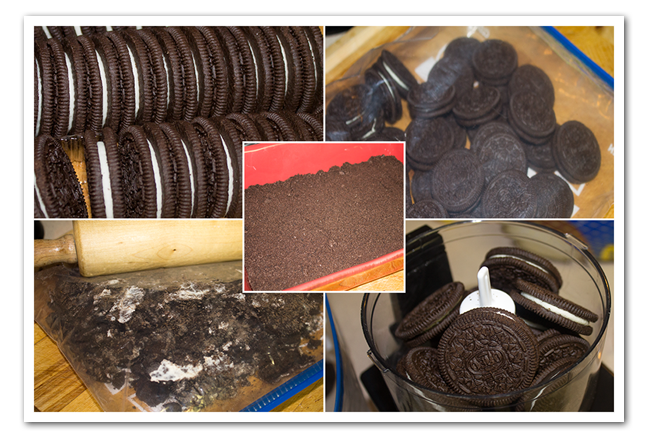 Crush cookies with rolling pin or use your food processor. Melt the butter and pour over the crushed cookies. Mix 1 cup of cool whip and the sugar with the cream cheese spread over the crushed cookies. 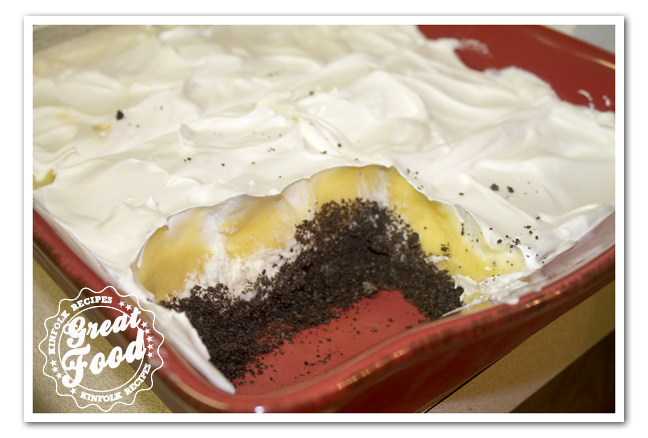 Mix the pudding and milk and spread on top of the cream cheese mixture. Top it off with the remaining cool whip. Freeze and take out of the freezer 1 hour before use. Melt the butter and pour over the crushed cookies. 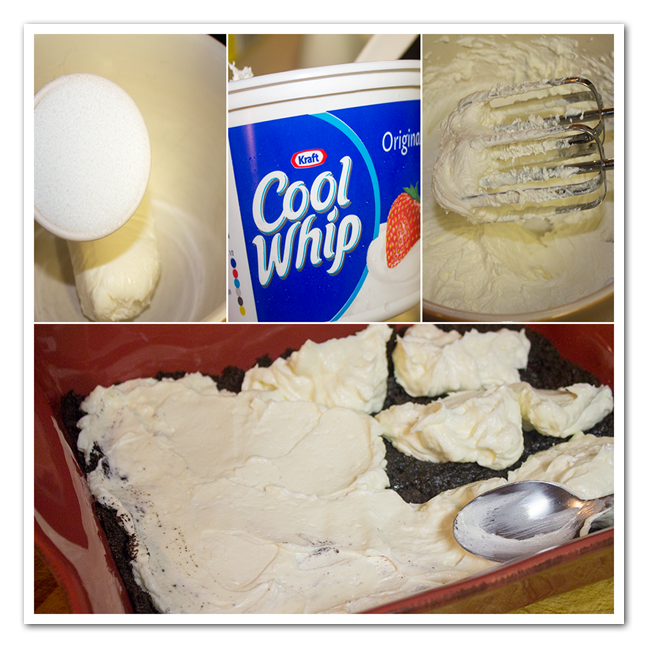 Mix 1 cup of cool whip and the sugar with the cream cheese spread over the crushed cookies. 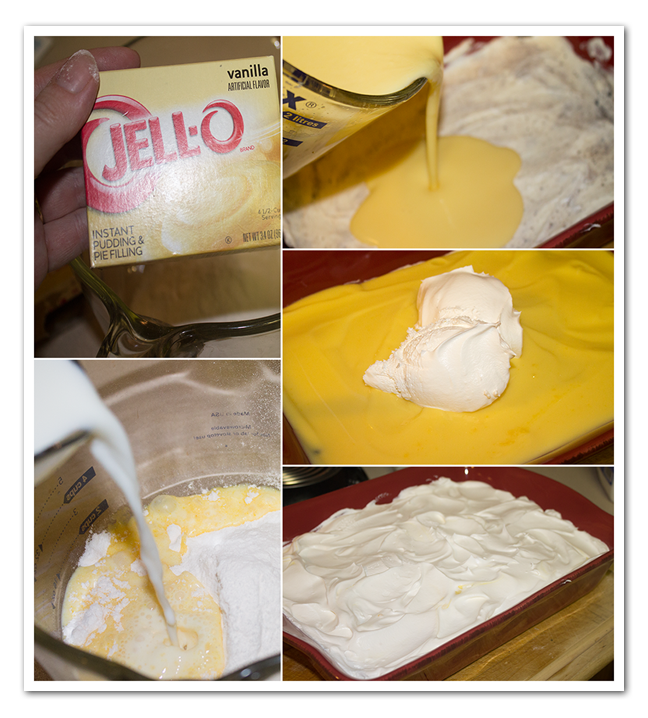 Mix the pudding and milk and spread on top of the cream cheese mixture. Top it off with the remaining cool whip. Freeze and take out of the freezer 1 hour before use.